Glistening against the awesome backdrop of the night sky above ESO’s Paranal Observatory, four laser beams project out into the darkness from Unit Telescope 4 (UT4) of the Very Large Telescope (VLT); they mark the first use of multiple lasers at ESO and they are the most powerful laser guide stars ever used in astronomy. 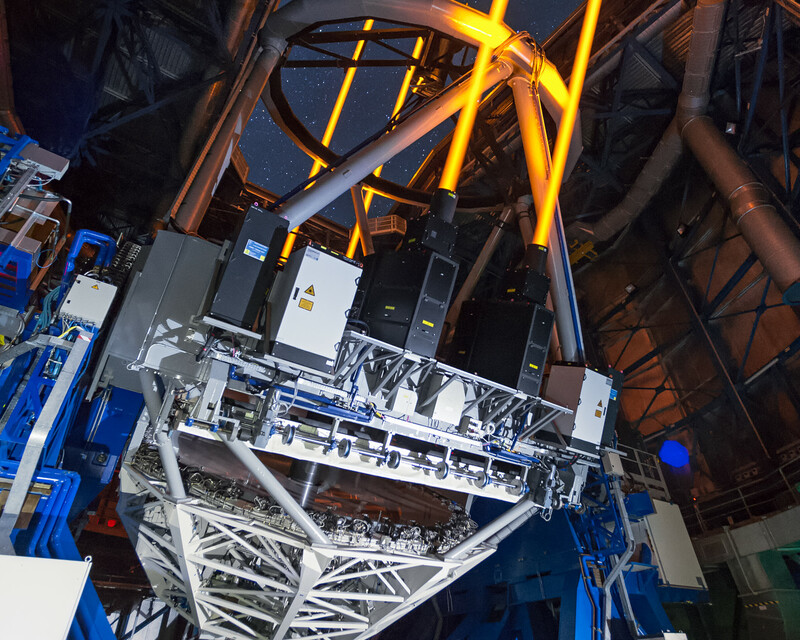 Some 90 kilometres up in the atmosphere, the lasers excite atoms of sodium, creating artificial stars for the telescope’s adaptive optics systems. Modern telescopes use adaptive optics systems to compensate for the blurring effect of the Earth’s atmosphere. To do this, the telescope needs to be able to see a bright reference star while it is observing its main target. However, there is not always a suitably bright star nearby, so astronomers use lasers to create artificial stars exactly where they need them. Sodium atoms high in the atmosphere are made to glow by the action of the lasers, forming tiny patches of light that mimic real stars. Using multiple lasers simultaneously allows the atmosphere’s properties to be better characterised — resulting in a much better image quality in a larger field of view where the image is corrected — than is possible with just one laser. 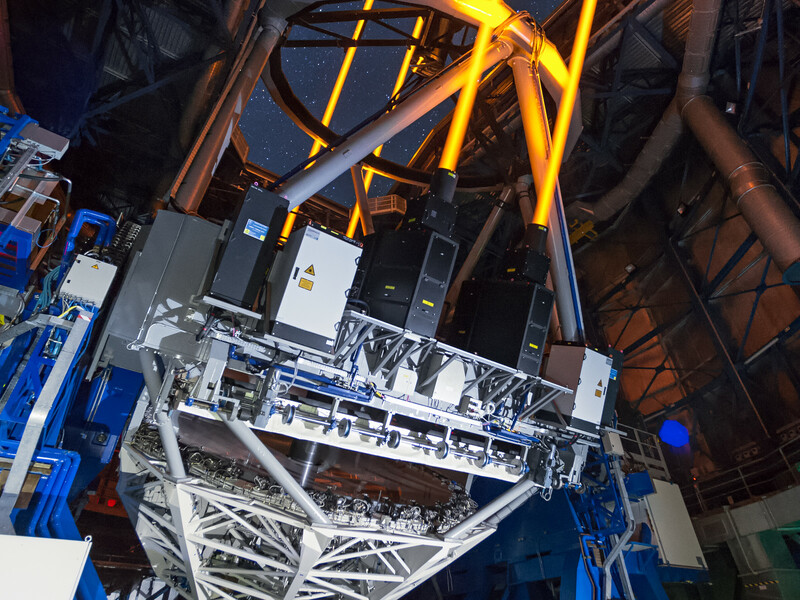 The four lasers just fitted to UT4 serve one of the most sophisticated laser guide star systems ever built and are an example of how ESO enables European industry to lead complex research and development projects. 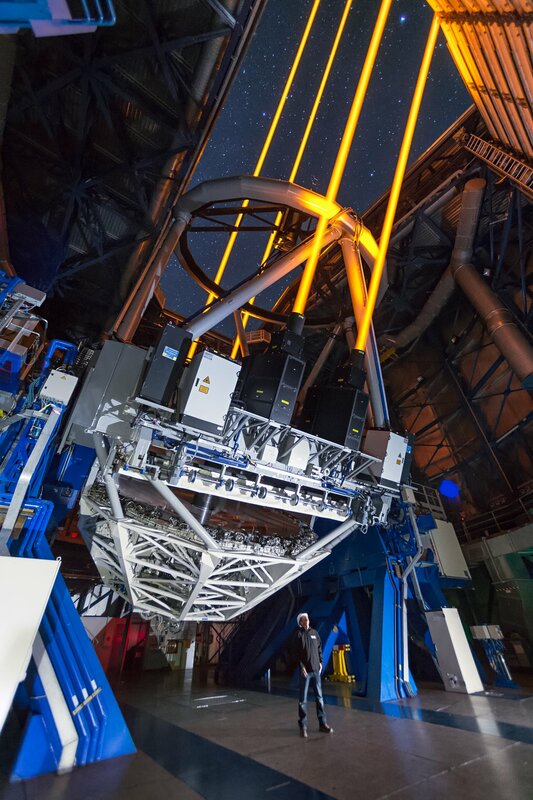 The new lasers will permit the VLT to produce very sharp images, almost at the diffraction limit of the telescope. With this new facility, the Paranal Observatory continues to have the most advanced and the largest number of adaptive optics systems in operation today. 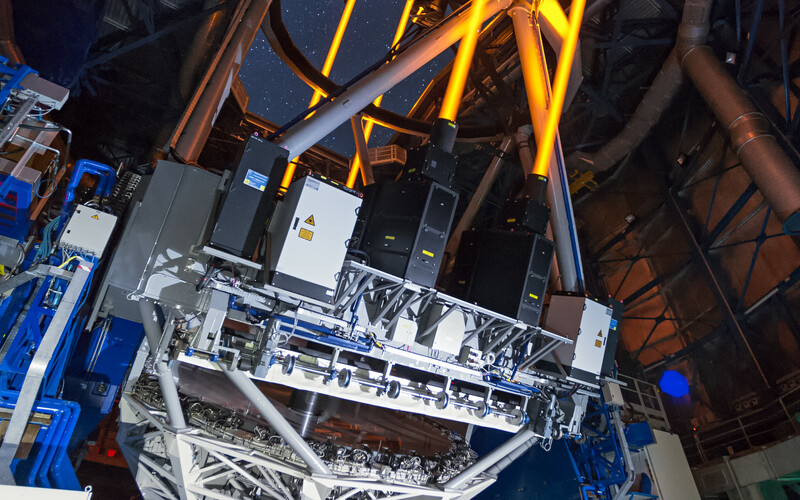 This new system will also pave the way for a similar system on ESO’s forthcoming European Extremely Large Telescope, the world’s biggest eye on the sky.